Norway — that most capital-intensive of oil provinces — will see investments offshore increase by $2.34 billion in 2019, after a year that saw seven oilfield projects pass through their financial “decision-gates” or win some sort of nod. The surge in spending coincides, now, with a strengthened gas price and oil prices buoyed after OPEC and Russia this week agreed a deal to trim back production. It also coincides with foreign interest from the Baltic States in Norway’s wealth of gas. A survey by national stats keepers of oil companies operating in Norway shows a 22 percent increase in forecast offshore spending from this year to next. So, Offshore Engineer’s reports of an “uptick” have been real in Norway, where 2018 saw 3.1 percent more spending than in 2017. 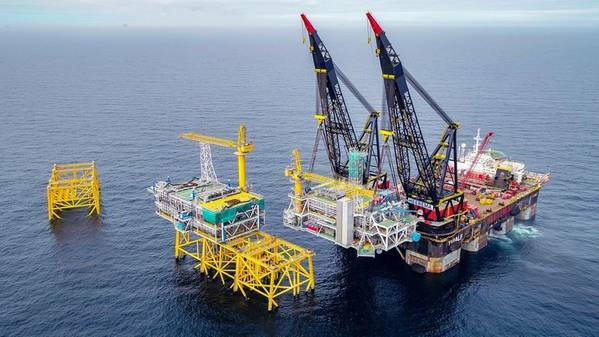 In all, Norwegian oil companies expect to spend 175.3 billion kroner ($20.49 billion) in 2019, while 2018 oilfield spending is now pegged at NOK 156 billion ($18.27 billion). The slight increase in 2018 over 2017 capex estimates was mostly down to royal assent for the 100-million-barrel Fenja field. Investments in the elephantine oilfield project, Johan Sverdrup Phase 2, will likely cause a spike in 2019 numbers once approval comes. As at Sverdrup, Norway figures are understood to be inflated by investments made, planned, approved or assumed. Although the numbers in the report from Oslo’s stats keeper, SSB, include pipeline investments, they don’t appear to include the price of a new branch pipeline to Europe that’ll directly challenge gas piped to the Continent from Russia via the Nord Stream trunk line. Danish Energinet and Polish Gaz-System agreed at the weekend to finance Baltic Pipe. Most promising for exploration and production (E&P) companies and the supply chain, the greatest Norwegian spending increases appear set to come from new field developments and exploration, as opposed to mere maintenance and modifications (which have slow down completely). Key to the health of the industry is the 74.2 billion kroner ($8.69 billion) oil companies intend to spend on new oilfield projects, alone, in 2019. 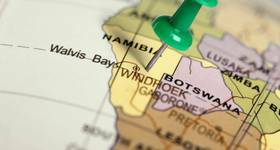 It’s next year that matters for suppliers plugging themselves in to projects expected to comprise Luno 2, Cara, Tor II, Fogelberg, Garantiana and Brasse. “These projects are relatively small,” say the authors of the report, adding, “Developments (like these) usually see the lowest investment in the first year.” They suggest the forecast for 2020 ought to mean still-higher spending. While the numbers for 2019 are forecast spending, the estimate itself is up 21 percent over what people last year thought 2018’s contract count would yield. Spending for 2019 could yet rise, as no one anticipated 2018 seeing seven PDOs, or plans for development and operation. The decision in Warsaw on a Nord Stream rival will yield surveying, trenching and stone-laying work before offshore pipelaying begins. 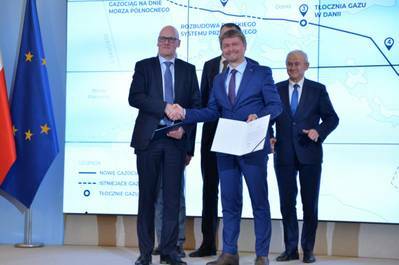 Baltic Pipe — this 20-billion-kroner branch-off to Denmark and Poland from the Norway-to-Germany Europipe II gas line — will likely one day send volumes to Lithuania, Estonia and Finland, where the Baltic Connector trunk line is planned.